It has long been my dream to write a book that encourages Christians to approach the single life with purpose and passion! Those who find themselves single are constantly challenged to think beyond the stereotypes and myths that exist in our society (that everyone eventually gets married and life begins when you walk down the aisle.) When we embrace the single life, we discover a deep sense of freedom, fulfilling relationships, unique opportunities for work and service, and ample space for God. At the same time, being single in today’s world can sometimes be painful, lonely, and frustrating; and that aspect of the single life deserves our attention as well. 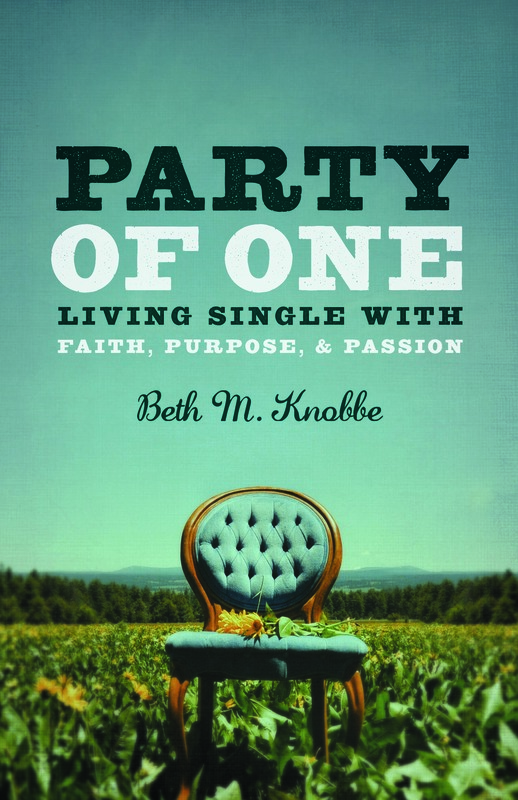 Party of One: Living Single with Faith, Purpose, and Passion is a book about how to enjoy being single! It employs the insights of scripture, spiritual sages, and ordinary people who show us that the single life can be a place of abundance and joy if we welcome it. My hope is to address the fears singles face, the assumptions people make, and the questions we ask ourselves – especially when it becomes clear that the single life is becoming a permanent state in life and not just a passing phase on the way to something else. Furthermore, each chapter includes practical and spiritual advice for finding happiness and contentment during the single years. Party of One is published by St. Anthony Messenger Press. It is available in paperback, Kindle edition, and audio book format. I am so happy I heard you speak on Busted Halo! I treasure the time alone – it is so hard to have as a wife/mother/employee/friend. When we do have that time to ourselves, it’s nice to know we can just enjoy it, through quiet contemplation or other solitary activity. A few years ago, days before we were to leave on a trip, I told my family that I simply could not go. I needed to be home. My husband and family agreed to go by themselves. It was the first time, in FOURTEEN years, that I had been alone in my house for more than 7 hours. No carpools, no work obligations. NOBODY else. Since then, I make sure I get that time to myself, by myself, at least once a year. I love my family, yet solitude is its own treasure. Thank you for speaking up, so eloquently, on being single and giving me more thoughtful perspective on solitude!